Organizing the details for your big day may require creative ways to stay within your budget, but it is still possible to plan the wedding of your dreams. There are a variety of ways to minimize costs throughout the process while maintaining the style and feel you are looking for. From save the dates and formal invitations to decorations and thank-you notes, there are a plethora of resources available out there to help create custom and stylish stationary. With projects that involve at-home printing, couples can cut out the unnecessary cost of expensive printing fees and take control of the printing process. Do-it-yourself templates and projects are available and ultimately make the wedding planning process more cost effective and unique for your special day. For more information on do-it-yourself wedding projects including save the dates, invitations, thank-you notes and more, check our out complete list of resources below and get started on planning your cost-effective dream wedding! The first set of mailings sent to guests are typically the save-the-dates. These informal wedding announcements, sent out about 6 to 8 months prior to your big day, serve as a way to announce your engagement as well as make sure guests can mark their calendars. With a variety of designs and templates out there, it is easier than ever to print your own DIY save-the-dates! The Knot answers all of your Save-The-Date questions in this Q&A that discusses what should be included, when to send them out, design details and whether or not to include RSVP’s. Martha Stewart offers an entire section on DIY weddings on her website, including this list of “Creative DIY Save-The-Dates” where readers can look through over 25 designs and view how-to guides on each. With over 20 different customizable templates to choose from, including photo cards on Evite, wedding planners can download and personalize their Save-The-Dates. “10 Beautiful and Free Save-The-Date Templates” is exactly what it seems. Check out these free templates and start your at-home printing project today. 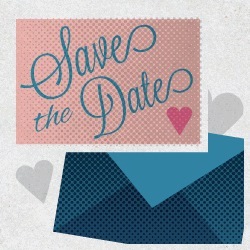 Wedding Chicks has several different styles and options for Save-The-Dates including vintage, chalkboard, elegant, sophisticated and even a Mad Men inspired template for a creative spin on traditional mailings. On Huffington Post, you can find a list of “11 Free Printable Save-The-Dates You Can Make At Home” with links to their download locations. Typically, wedding invitations are mailed out about 6 to 8 weeks prior to the wedding to give guests enough notice to make travel arraignments and clear their schedules to be there on your special day. There are many different ways to customize invitations with specific colors or photos and the easiest way to make sure your invitations are sent out looking exactly how you imagined is to design and print them at home! The many resources below provide templates, ideas and tips for DIY wedding invitations. The Wedding Bee offers an article titled “12 Steps to Creating DIY Wedding Invitations” complete with strategies for at-home printing that ensures invitations are printed exactly how they appear on the screen. Learn “How to Print Your Own Wedding Invitations” with tips and tricks to printing on an at-home printer as well as different methods of printing depending on how much time you want to spend on invitations. While saving time and money, you can also add a homemade touch to your wedding invitations and when printing at home, it makes it even easier to do so. Style Me Pretty’s article “Print Your Own Wedding Invitations” has several great tips on how to add your own touch to invites. For a complete guide on how to create your own wedding invitations, here you can find information on where to start, tips on saving time and even steps to creating invitations that are unique to your big day. Better Homes and Gardens put together 18 techniques for making your own wedding invitation that stand out. Watch this YouTube video from eHow with strategies for preparing DIY, print-at-home wedding invitations. Wedding Chicks includes free printable templates available to customize the colors and text right on the website. With over 594 different templates to choose from, you can download, personalize and print wedding invitations on Download and Print. On Love and Lavender, choose from a variety of templates to print at home complete with RSVP cards that guests can return to you. For brides on a budget, Budget Savvy Bride has printable invitations including templates such as “Pocket Fold Invitation Template Set” and “Bird + Blossoms” invitations set ready to download and make your own! Send attendees a warm thank-you for joining to celebrate your wedding as well as for any gifts or words of wisdom they may have provided. Whether your wedding is large or small, printing your own thank-you notes at home can leave room in your budget to splurge on whatever else you may need! 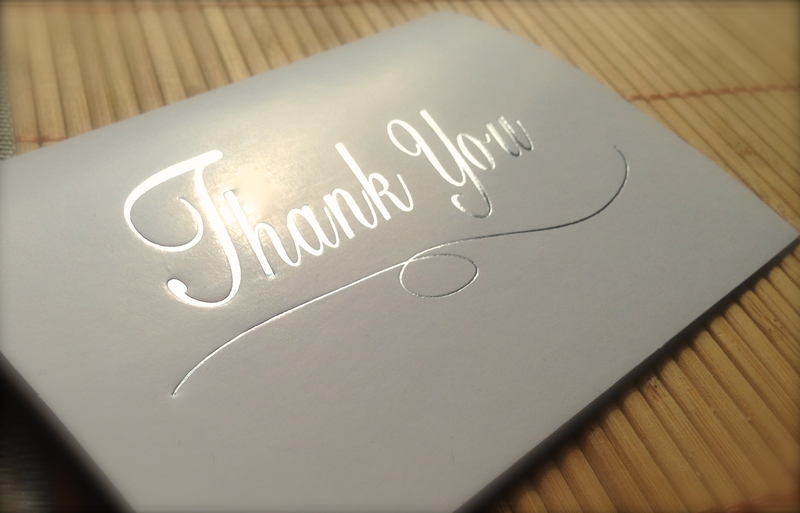 “6 Steps to Making Your Own Thank-You Cards” on Yahoo! Voices walks through the different steps and things to remember when trying to print thank-you notes at home. For 9 great tips from Martha Stewart Weddings visit “Tips For Writing Thank-You Notes”. Including different ways to save money, time frames and what should be included in these notes, this list is a great resource when getting starting on saying thanks to your guests. A complete “Wedding Thank-You Note Guide” is available online with etiquette information, sample notes and writing tips to make the process faster and easier after the wedding. Another great article from Martha Stewart Weddings has 12 different ideas for handmade wedding thank-you notes that are easy to do and can be printed at-home! Confetti Daydreams compiled a list of 50 Printable Thank-You Cards that can be downloaded, customized and printed right from your home! Mailings are not the only way to maximize your wedding budget! Visit these websites for a variety of other DIY wedding projects. Looking for creative DIY seating cards and other displays? Martha Stewart Weddings has over 50 different, unique ideas many of which can be printed with your at-home printer. Evermine offers free wedding printables that include: table numbers, bride and groom cards, chalkboard wedding arrows and dotted paper ribbons. Make your own wedding programs with this easy to use template from Martha Steward Weddings. Give your guests a fun activity during the reception that you can cherish for years to come. Confetti Mad Libs lets attendees fill in the blanks and these fun cards can be printed at-home! 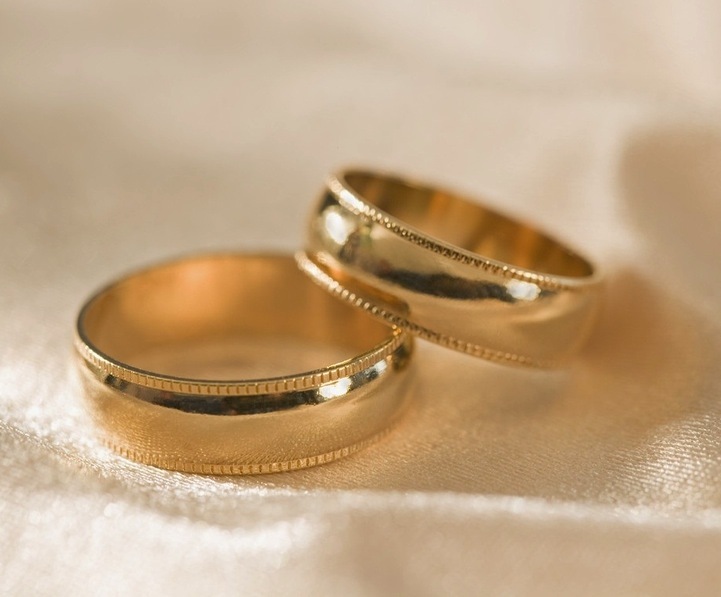 Many types of wedding essentials can be made at home with your own printer. Let your friends and family know what is for being served for dinner with this downloadable Wedding Menu Template from Ruffled. From gift bags to advice cards for the bride and groom, Huffington Post has put together “13 Free Printable Favors For Your Special Day”. These resources and many more offer many different strategies and helpful hints on how to manage your wedding budget, yet still throw the event that you’ve always wanted. Templates are available to make the process simpler so you have more time to spend on other projects and if you’re looking for ways to cut wedding costs, at-home DIY printing is the way to go! 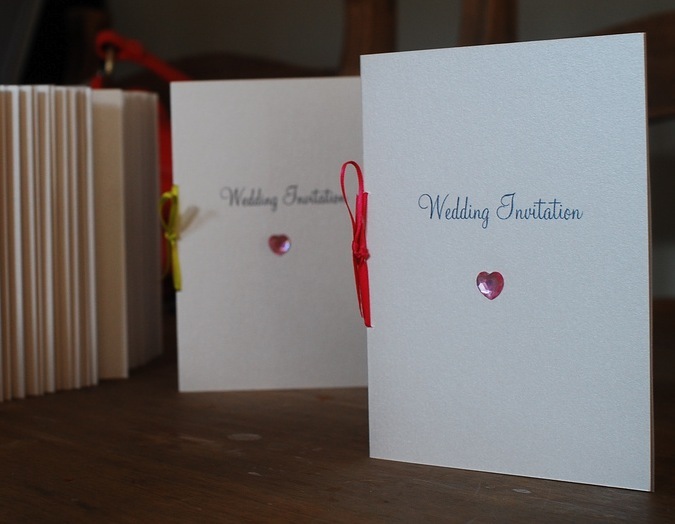 Thanks so much for writing about DIY wedding stationery. It can be so easy to do.